"I've always been interested in developing technologies that are accessible to both industry and the general population," Silvana Andreescu, Ph.D., says. "My lab has built a versatile sensing platform that incorporates all the needed reagents for detection in a piece of paper. At the same time, it is adaptable to different targets, including food contaminants, antioxidants and free radicals that indicate spoilage." What sets Andreescu's sensors apart from others, she says, are the nanostructures they use to catch and bind to compounds they're looking for. "Most people working on similar sensors use solutions that migrate on channels," Andreescu says. "We use stable, inorganic particles that are redox active. When they interact with the substances we want to detect, they change color, and the intensity of the change tells us how concentrated the analyte is." Additionally, because all of the reagents needed to operate the device are incorporated in the paper, users don't need to add anything other than the sample being tested. The potential applications are wide-ranging. For example, much of her sensor work thus far has focused on detecting antioxidants in tea and wine. 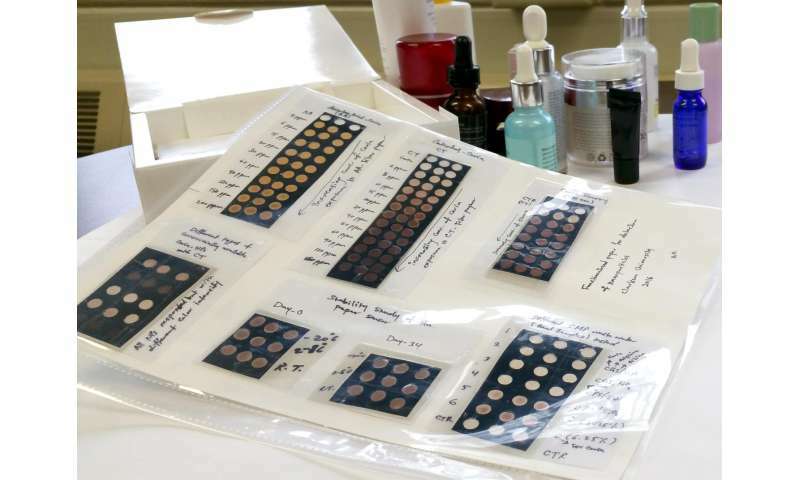 Andreescu, who's at Clarkson University, and her colleagues have found that these products have unique antioxidant "fingerprints" that could be used for authentication purposes. The portable sensor could also be used by researchers exploring remote locations, such as the Amazon rainforest, in search of natural sources of antioxidants, she notes.